Prints from our Prints & Pints show on February 6th. 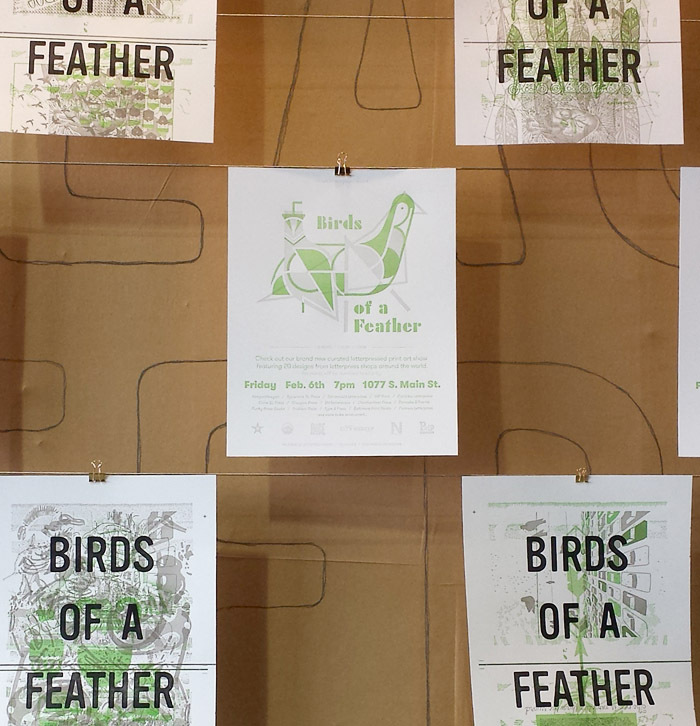 20 prints from artists from printshops located around the world were invited to design a piece on the theme "Birds of a Feather". All prints were printed in same two colors and on the same paper at The Mandate Press.